The Business Instructional Facility was designed by Cesar Pelli of Pelli Clarke Pelli Architects. 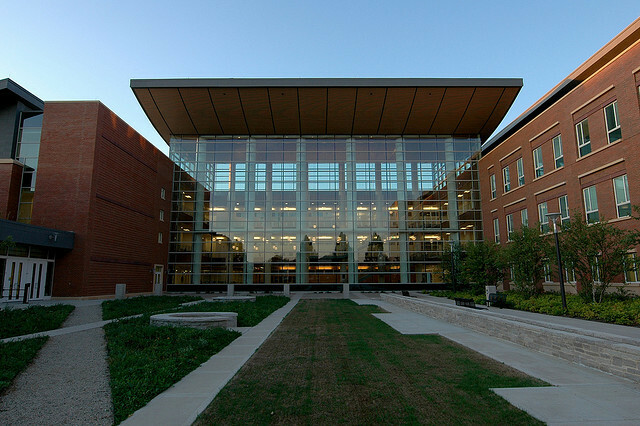 Located in Champaign, this academic building was completed in 2008. 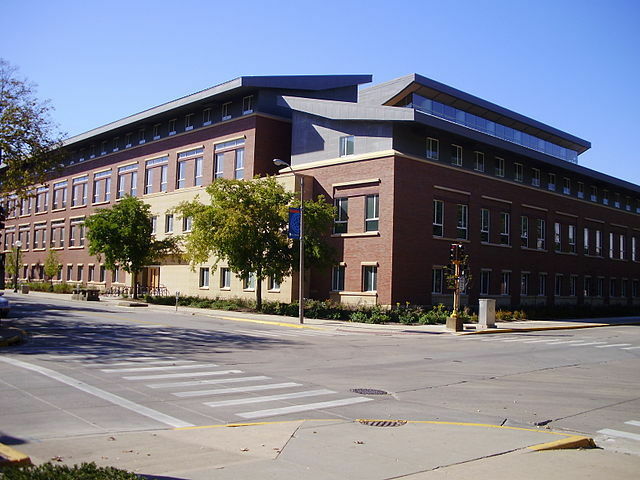 The College of Business Instructional Facility, commonly referred to as BIF, was a $60 million dollar project approved in July 2005, started in April 2006, and completed in time for Fall semester in Summer 2008. The building was designed by architect Cesar Pelli, alumnus of the University of Illinois and named one of the nation's most influential architects by the American Institute of Architects. The project was funded through contributions from alumni, partners, and friends of the University of Illinois. The building is located on the corner of Sixth Street and Gregory Drive, serving over 4000 graduate and undergraduate business students at the University of Illinois. Currently, the business program is ranked 13th in the country. The over 160 thousand square foot building provides space for additional instructional classrooms, student programs offices, counseling centers, interview rooms, an auditorium, and an atrium area where students are able to study. BIF was the first university business building in the world to earn a platinum LEED certification, and less than 300 buildings worldwide have received a platinum LEED certification. Shortly after completion, Business Week ranked the college’s sustainability program number one in the nation. 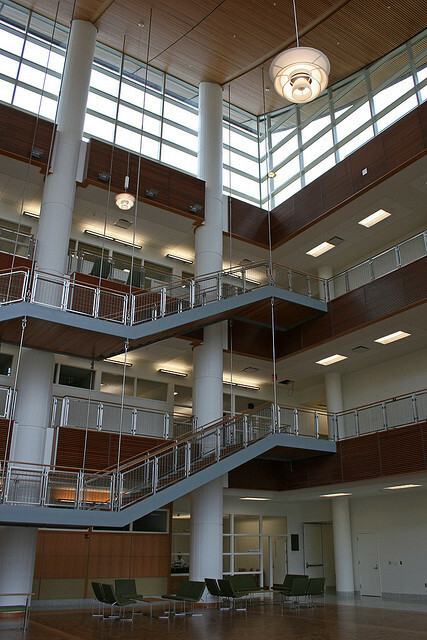 The facility was designed to provide a place for both current students of the University of Illinois College of Business and alumni of the university. 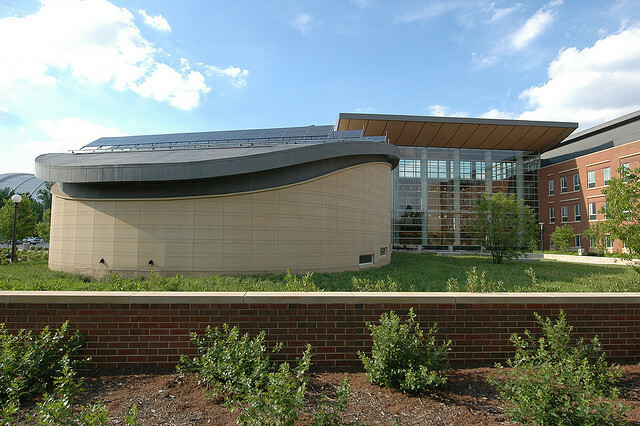 With both the modern and classic architectural style of the University of Illinois, it was built to fit into the surrounding campus, while fulfilling its platinum LEED certification requirement. 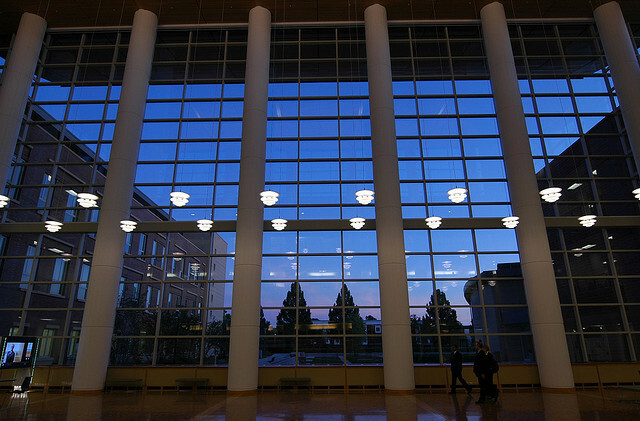 With the intention of leading the business world in sustainable architecture, the college, “wanted the design and construction of this building to reflect the values of social and professional responsibilities that we teach our students,” according to the Dean of Students at the time of construction, Avijit Ghosh. The building was designed to cut energy consumption by 50 percent. The Business Instructional Facility is a three-story building containing 300-seat auditorium, multipurpose labs, career services, student centers, classrooms, and a recruitment suite. The firm Pelli Clarke Pelli Architects was founded in 1977 and has become a leading architectural firm. The firm focuses on the needs and core values of their clients. The works done by the firm are contemporary, broadly resonant, and optimistic. Overall, the firm works to create buildings with rich history and integrate the evolving technologies of today’s modern world. 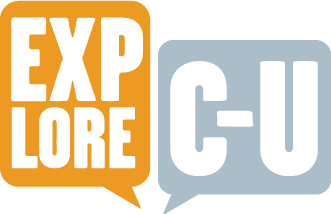 Emma Kay, Baifan Zhang, and Jizhou Yang, “Business Instructional Facility,” ExploreCU, accessed April 20, 2019, https://explorecu.org/items/show/269.